Zhang F, Feng Y, Qin M, et al. 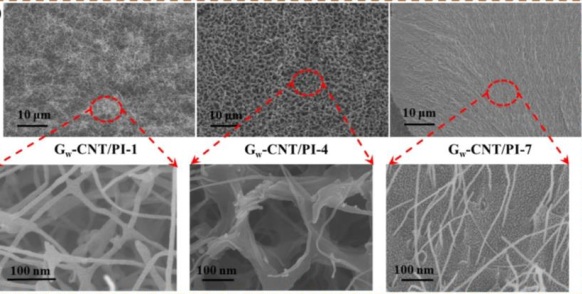 Stress-sensitive thermally conductive elastic nanocomposite based on interconnected graphite-welded carbon nanotube sponges Carbon 2019, 145: 378-388. Qin M, Xu Y, Cao R, et al. 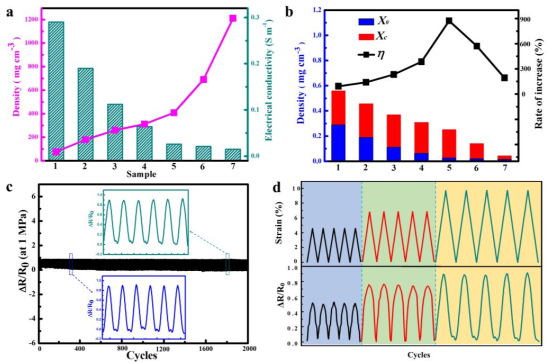 Efficiently Controlling the 3D Thermal Conductivity of a Polymer Nanocomposite via a Hyperelastic Double‐Continuous Network of Graphene and Sponge Advanced Functional Materials 2018, 28(45): 1805053. 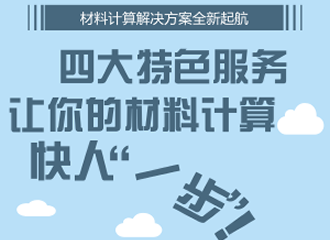 Ji T, Feng Y, Qin M, et al. Thermal conductive and flexible silastic composite based on a hierarchical framework of aligned carbon fibers-carbon nanotubes Carbon 2018, 131: 149-159. Chen S, Feng Y, Qin M, et al. Improving thermal conductivity in the through-thickness direction of carbon fiber/SiC composites by growing vertically aligned carbon nanotubes Carbon 2017, 116: 83-93. Qin M, Feng Y, Ji T, et al. Enhancement of cross-plane thermal conductivity and mechanical strength via vertical aligned carbon nanotube@graphite architecture Carbon 2016, 104: 157-168. Feng W, Qin M, Lv P, et al. 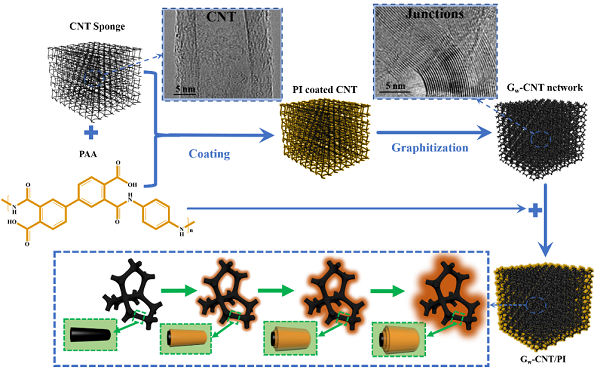 A three-dimensional nanostructure of graphite intercalated by carbon nanotubes with high cross-plane thermal conductivity and bending strength Carbon 2014, 77: 1054-1064. Feng W, Qin M, Feng Y. Toward highly thermally conductive all-carbon composites: Structure control Carbon 2016, 109: 575-597. Ji T, Feng Y, Qin M, et al. Thermal conducting properties of aligned carbon nanotubes and their polymer composites Composites Part A: Applied Science & Manufacturing 2016, 91: 351-369. Zhang Z, Qu J, Feng Y, et al. Assembly of graphene-aligned polymer composites for thermal conductive applications Composites Communications 2018, 9: 33-41.